I am an aircraft mechanic. You don't see us in recruitment posters, you won't see us in military movies, nor on the news as crews rescues a person in strife or drops disaster relieve goods. Those kudos are for the pilots and crews. We are the unseen. The people whom with grease, oil and hydraulic fluid coated clothes spent the entire night getting a "downed" or "not full mission capable aircraft" ready to fly to meet flight schedule "FMC" Fully Mission Capable!" Strange enough pilot's know our names but not our faces. As pilots and crews slept in their beds, we work with flashlights clutched in our teeth; so we can use both hands. Busted knuckles, safety wire gashed arms we work through the night. The morning comes the crews look though the maintenance records for the Aircraft they are about to sign for seeing a plethora of gripes fix and/or repaired. I am an aircraft mechanics. Lastly, if the flight schedule starts early enough you get to see your hard work pay off. APU on line, navigation and smack lights - on, GPS and computers booting up, flight controls check smooth and good, engines roar to life. There's the scent, yeah it's JP5 exhaust. The pilot nods his head and gets taxied out. Exhausted and ready to hit the hay, but you stay to watch them get airborne. Yeah, I am an aircraft mechanic! 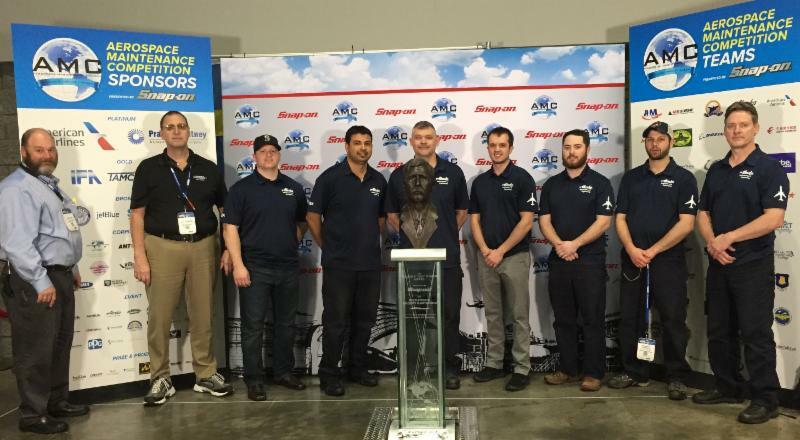 At this year’s annual Aerospace Maintenance Competition (AMC) in Orlando, Florida, two teams of Alaska Airlines employees took some of the top honors against other airline maintenance teams from around the world. Each year, aviation maintenance professionals compete against their peers in up to 30 timed events that test their skill and knowledge. 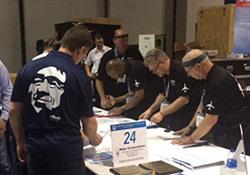 Alaska’s Team SEA and Team ANC were among 67 of the top maintenance teams that participated in the event. Team SEA took second place overall in the commercial airline category, and placed in the top three for eight individual events, including first place for composite repair, vacuum loading operation, magneto, and external power receptacle. Team ANC placed in the top three for four individual events, including first place for safe-t-cable and safety wiring. Alaska was also represented on the judging panel. 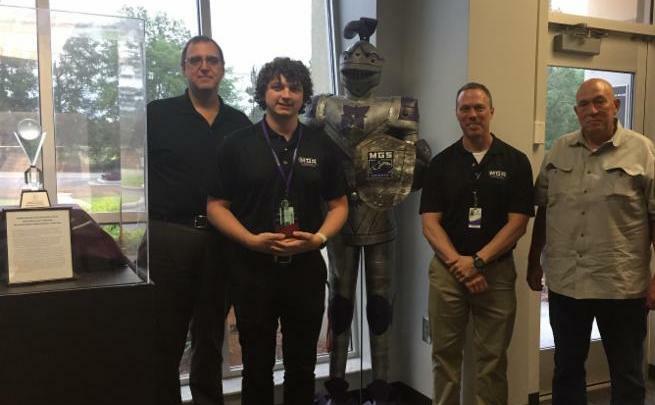 Duane Bailey, Bob Long, Gregory McDonald and Ken Pitt served as judges for this year’s competition. Congratulations to all the teams representing our profession and showcasing how to own safety and be remarkable. The FAA lists 12 human factors, known as the “Dirty Dozen,” which are elements that can contribute to maintenance errors. Distractions are one of the Dirty Dozen. Distraction is the process of diverting attention away from a desired area of focus and thereby causing the diminished reception of required information. Some causes of distraction may be the inability to pay attention, lack of interest in the task at hand, or additional “noise” of some other subject. The sources of distraction may be external or internal. Some examples of external distraction are loud noises, blinking lights, radio calls, phone calls, or passing vehicles. Internal distractions maybe derived from lack of rest or sleep, being sick or ill, emotional, or simply letting your mind wander. One of the prevention methods for distraction is to simply finish the job or task before moving on to the next. Knowing that task completion is not always an option for the busy Aircraft Maintenance Technician (AMT), it is important to document the work performed so that there is a clear description of the steps completed. When returning to an interrupted task, take three steps back and review up to the current step. Checklists are also useful to combat the influence of distraction. As AMTs, we encounter many forms of distractions at any given time. Among these distractions may be issues surrounding the Collective Bargaining Agreement (“Contract”), concerns of lack of manpower, management pressure, peer pressure, or integration issues. As licensed professionals, we must stay focused on the task that is in front of you, and not allow yourself to fall prey to distractions. Multi-tasking does not make you a “hero,” it can put you at risk for mistakes. AMFA National awarded two scholarships for 2018. Each applicant had to be currently enrolled in a school to gain their Airframe and Powerplant (A&P) license, had to be a US Citizen, and were required to submit an application including a 500-word essay expressing the difference between a craft specific and an industrial union. 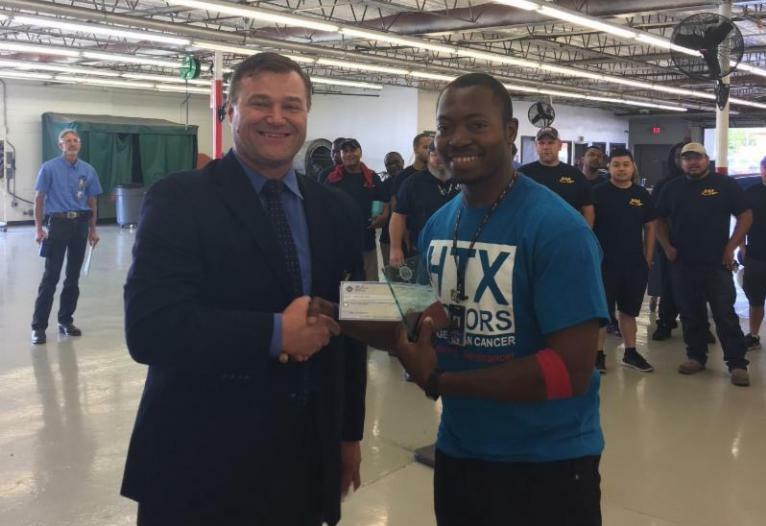 After careful review and consideration, the National Executive Council chose Gaetan Pindjou Newou from Aviation Institute of Maintenance (AIM) in Houston, TX and Mark Polhemus from Middle Georgia State University in Eastman, GA as the recipients of the AMFA Scholarship for 2018. National Officers presented Gaetan and Mark with a plaque and $2500 scholarship at their respective school in May 2018, and they were also announced during the Aerospace Maintenance Competition in Orlando, FL. The National Executive Council (NEC) awarded the 2017 Local Officer/Representative of the Year Award to Scott Van De Motter. 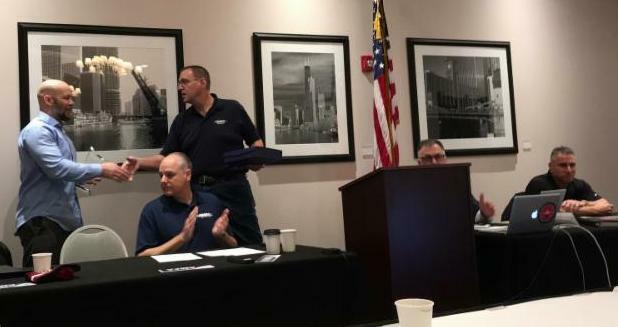 Scott was presented with the award at the Local 4 General Membership Meeting in Chicago, IL on January 30, 2018. 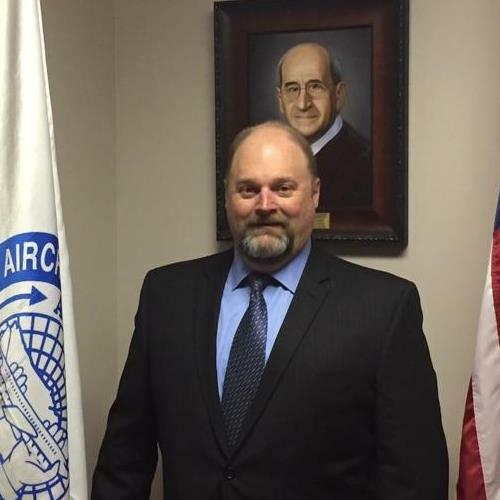 Scott’s term as AMFA Local 4 Vice President commenced in January 2017, and he quickly stepped up to support the needs of Local 4 and National. 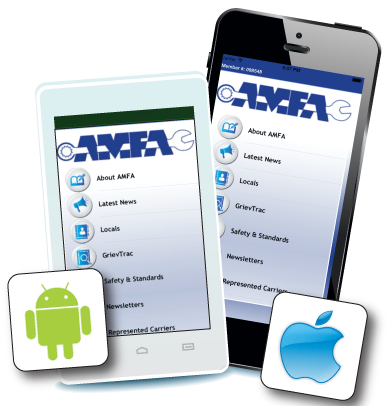 Over the last couple of years, AMFA National has recognized the need for better communication. Scott has played an active role in furthering communications at Local 4 by coordinating Facebook, Twitter, and other forms of mass communication. Each year AMFA National asks the Locals submit the name of an officer/representative who has gone above and beyond while representing the membership. This is the fourth year the Local Officer of the Year has been awarded and, as was the case last year, the competition was intense. The NEC believes that it is important to recognize those who have helped the Association achieve success.